Superior sound and video products for consumers and businesses alike. If you're looking for top quality audio and video services for an affordable price, Premier Sound & Video is the name to trust. Whether you need an in home security system or DJ services, we are here to make sure all of your audio and video needs are met. We pride ourselves in providing the highest quality services to you or your business. 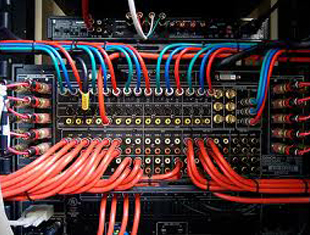 With over 10 years experience, we create, install and use the latest equipment. From installing a theater in your home or a security system in your business, we do it all! Home Security Systems- Residential and commercial surveillance cameras. Home Theaters and Systems- Home theater systems, residential and commercial installations. Disk Jockeys- Professional DJ services, video Jockey, and more.